Your home’s heating system will be in good hands when you call on us! There are two things you expect when it comes to your Taylors, South Carolina home’s heating system: dependability and efficiency. Here at Air Kool Heat & Air, we offer comprehensive heating services so that your home is comfortable during the winter months. 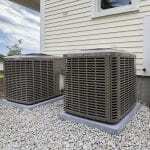 Keeping your system in top working order not only provides you with peace of mind that you won’t awaken one morning to a cold home, but also that your utility bill will not be adversely affected by a system that is working harder than it should be. 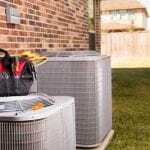 The best defense against high heating costs, as well as excessive repairs and shortened life of your heating system, is regularly scheduled maintenance. Our maintenance plan comes with a 36-point safety check, so you can be confident it is operating efficiently and safely. It also qualifies you for priority service and a discount on parts and labor. 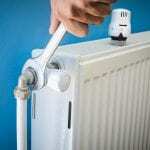 In the event your heating system does require repairs, we have you covered there, too. Our team is equipped and qualified to quickly diagnose and repair your home’s heating system so you and your family will be comfortable again. We offer on-call services outside of our business hours and on holidays, so don’t hesitate to contact us when you are without heat. Even with the best care possible, eventually your heating system will need to be replaced or you may wish to upgrade, such as to a heat pump system, to enjoy the best energy efficiency possible. 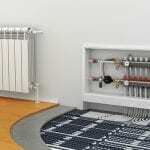 We are happy to give you an honest assessment of your heating system and the relevant information so you can make an informed decision about whether to upgrade and which system to go with. If you have any questions about our heating services, including installation, maintenance, repair, inspections, and replacement, don’t hesitate to contact us. We’ll put our more than 20 years of experience to work for you!